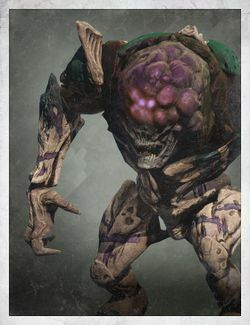 Blahgrish is a unique Ogre and Hive Champion encountered in the Hull Breach on the Dreadnaught. Blahgrish is summoned once The Guardian kills Nengalish after using a Wormsinger Rune to challenge him in the Hull Breach. When killed, Blahgrish will drop a Wormfeeder Rune, and award the Grimoire card Hive Champions.